Happy Hump Day! 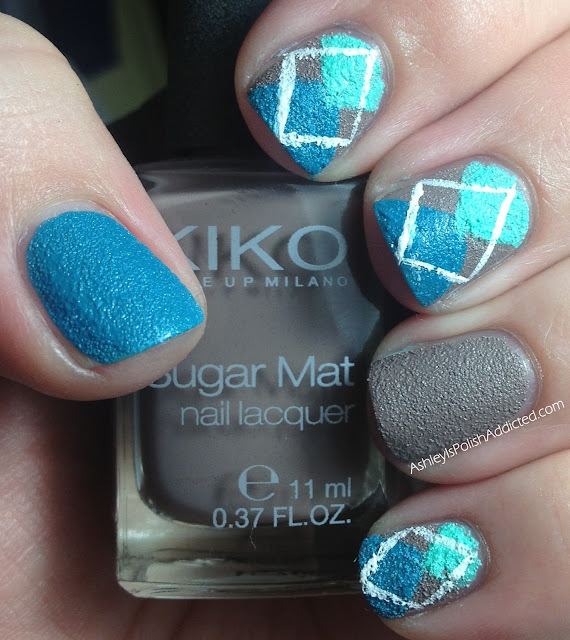 I have another installment of my textured nail art series using Kiko Sugar Mats tonight! In case you missed my previous posts in this series (which I will link at the bottom), Kiko Sugar Mats are coming soon to Ninja Polish! Sheila from Pointless Cafe swatched all of them for you and I will be doing nail art to coordinate with each swatch post that she did (possibly more than one nail art post, depending on the colors in the swatch post). Today I am using 3 polishes from Part 2 of her 4 part series, which you can find here, #635, #636 and #637. The Sugar Mat Collection is made up of 16 polishes - 8 non-shimmers and 8 shimmers. All of these are the non-shimmers. 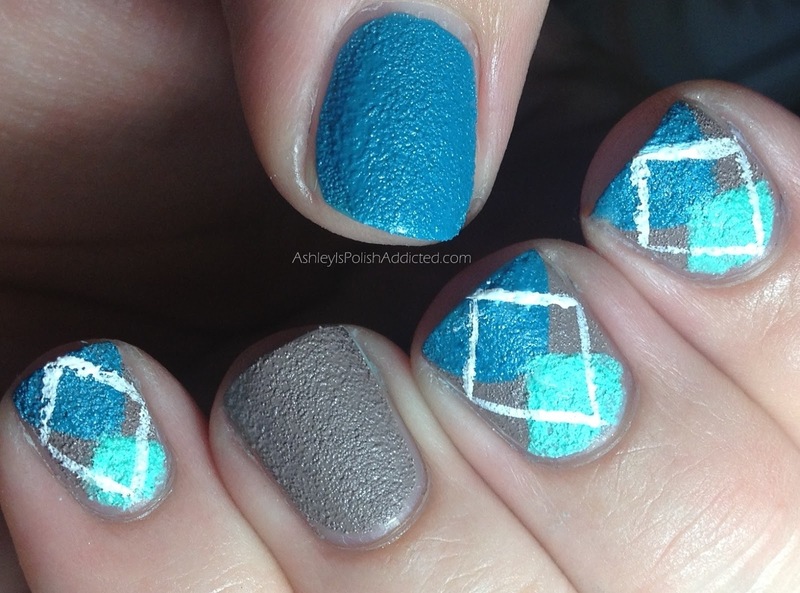 All three had great formulas and were very easy to work with. For some reason these colors screamed argyle to me, even though they aren't they "typical" argyle colors. I used a striping brush for the design and overall I'm happy with the look. It's VERY hard (at least for me) to create straight lines over a textured polish so my lines aren't as clean as I would like but for my first attempt I think it's a success! This is PERFECT! The fact that the lines aren't perfect makes it look even more like an argyle sweater!!! Brilliant.